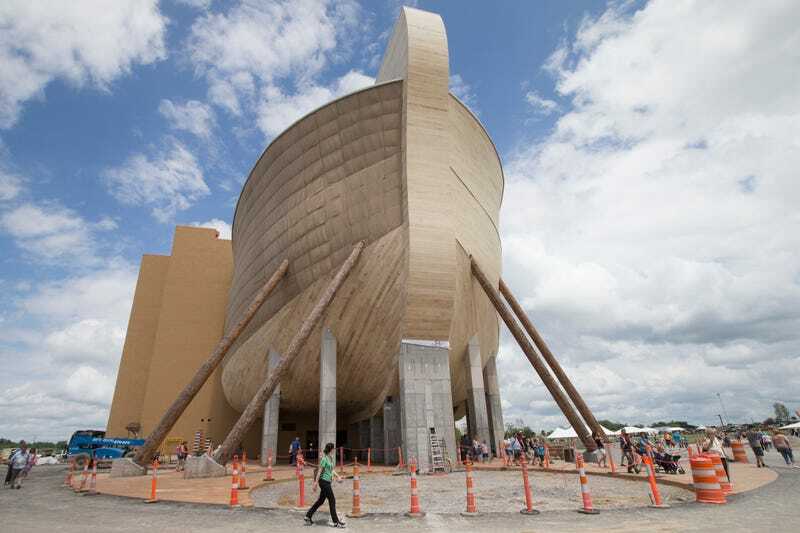 Built by Christians who believe the Earth is 6,000 years old, a 155-metre-long, $100 million “replica” of Noah’s Ark is set to open in a new Kentucky theme park later this week. 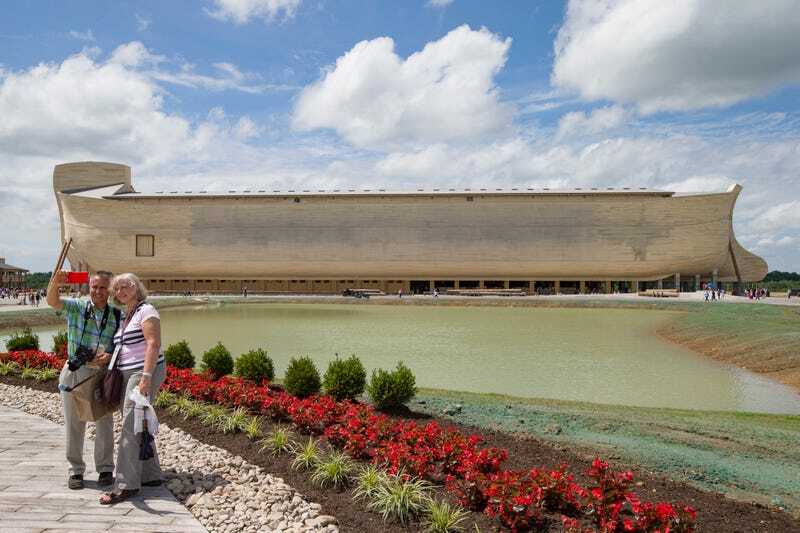 Critics say the attraction is nothing more than a big church that’ll be used to perpetuate creationist nonsense. 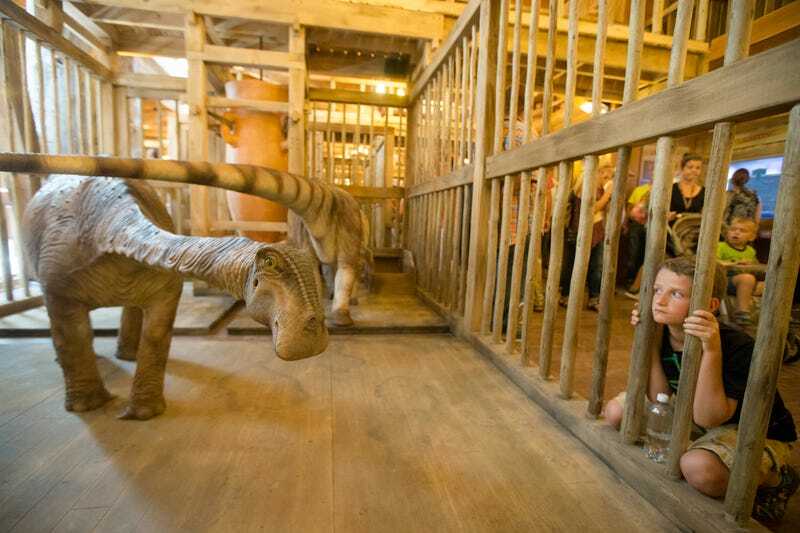 The new theme park, called called Ark Encounter, will officially open in Williamstown, Kentucky, on July 7th. 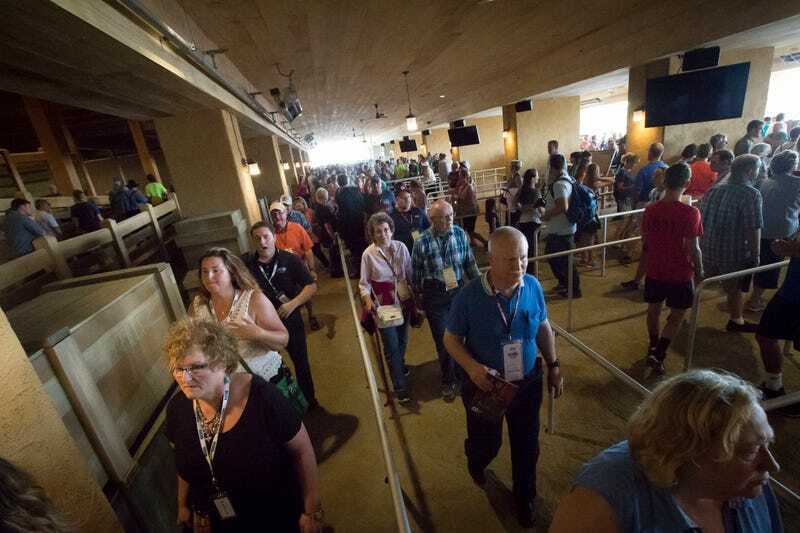 Yesterday, some 7,000 guests were invited to a special ribbon-cutting ceremony. Construction of the giant ship, which has been ongoing since 2010, was initiated by Answers in Genesis, a Christian group headed by Ken Ham. The structure is meant to commemorate the work of Noah, and to stand as a proof that the stories in the Bible are true. Funding for the project was initially sluggish, but things changed when Ham debated Bill Nye “the Science Guy” in 2014. The resulting exposure resulted in a sizable surge in donations for the ark park, including a local bond issuance that channeled tens of millions of dollars into the effort. (Later, Nye would say he was “heartbroken and sickened” by the turn of events). In another boost, a federal judge recently said the religious project could receive sales tax incentives worth up to $18 million, so long as strict religious tests were administered to employees. Critics say the judge’s decision is a violation of separation of church and state. This project, needless to say, has its fair share of critics. “Basically, this boat is a church raising scientifically illiterate children and lying to them about science,” noted Jim Helton, the leader of an atheist group called the Tri-State Freethinkers, in the LA Times. For activists like Helton, the new religious theme park is a setback in the effort to remove creationist teachings from science class.